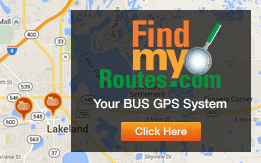 Citrus Connection provides fixed route (big city bus) service through Lakeland Area Mass Transit District, doing business as the Citrus Connection and Winter Haven Area Transit (WHAT) System. Citrus Connection has been operating in the Lakeland area for over 30 years and WHAT buses have been moving riders around the Winter Haven and adjacent areas for over 10 years. Paratransit service provides transportation in a shared ride environment to people not able to use the fixed route buses. Pre-approval for use is required. For more information on the bus system services, please review detail in side tabs. El servicio Paratransit proporciona el transporte en un entorno de paseo compartido a las personas que no pueden utilizar los autobuses de ruta fija. Se requiere pre aprobación para su uso. Para obtener más información sobre los servicios del sistema de autobuses, por favor revise detalladamente en las pestañas laterales.